The Miss Wayne County Scholarship Program is one of 29 local competitions in the state of Michigan. 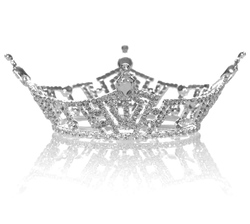 This is the 28th year of Miss Wayne County and the 98th year of Miss America. Please join us for Miss Wayne County 2018, "Endless Pageant Summer!" Tickets are $20 each* and will be available at the door. *MAO local titleholders will receive one complimentary ticket. St. Valentine School is located three blocks south of Five Mile Rd at Beech Daly.